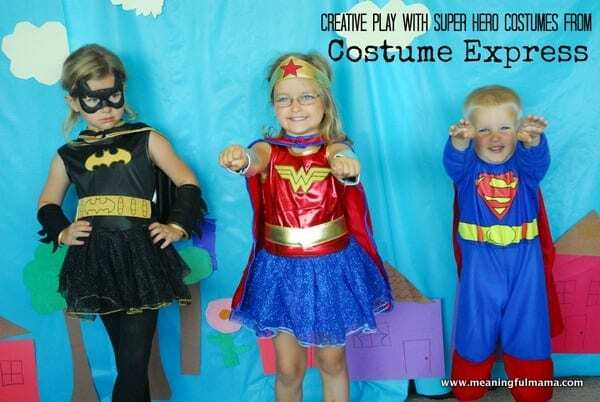 What sparks a child’s imagination more than costume? 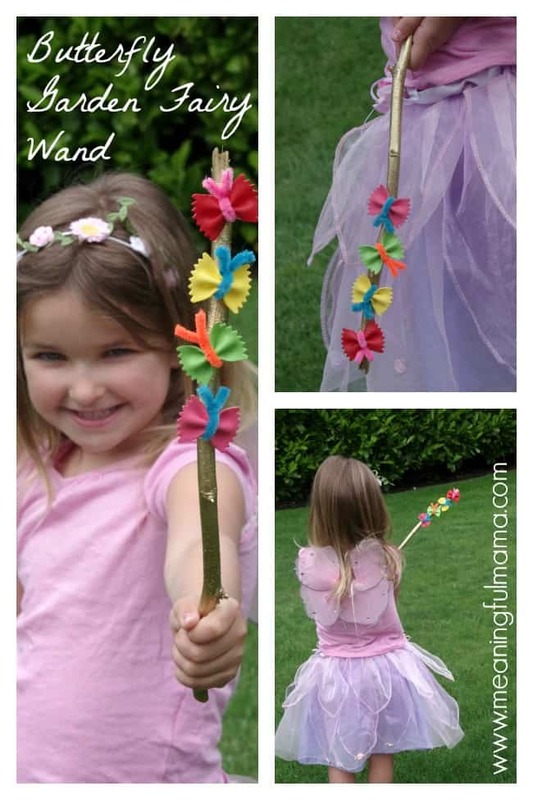 My kids love to dress up, and these garden fairy butterfly wands were a great accessory to their fairy costumes. Costumes are a fun part of our family, and I hope you will click back to see our family Muppet costumes and other costumes from the past. 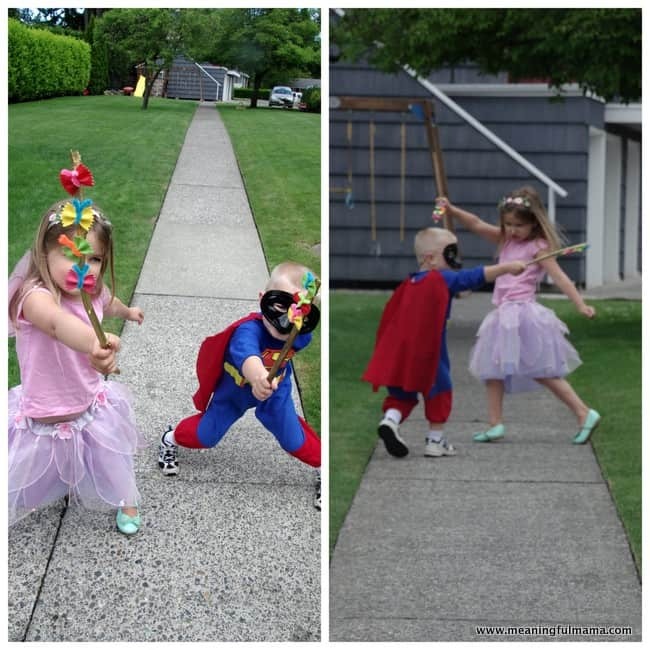 I think my kids got my dress-up bug, and I happily aid them in their imaginative adventures. 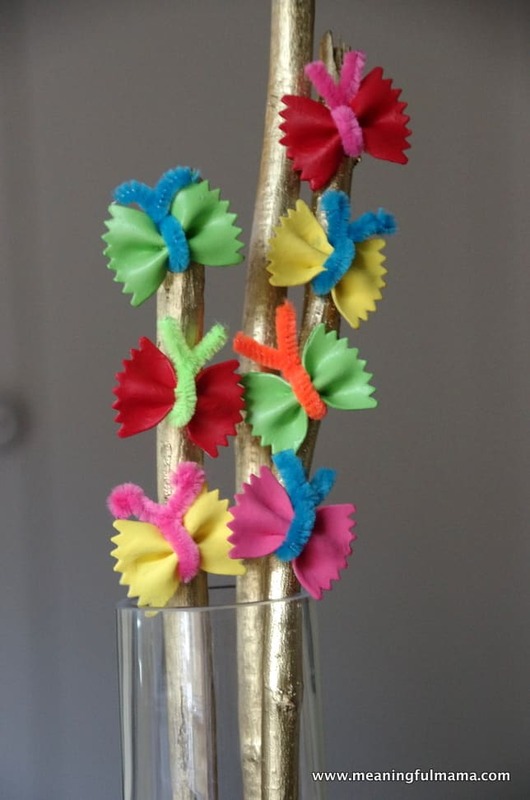 I ended up doing a few projects that used the painted butterfly pasta. I had one project in mind but then had a lot of leftover butterflies. Therefore, I decided to brainstorm a couple more crafts. This was one of them. It was hugely inspired by theses easy, glittery wizard wands I found at Kids Activities Blog. 1. 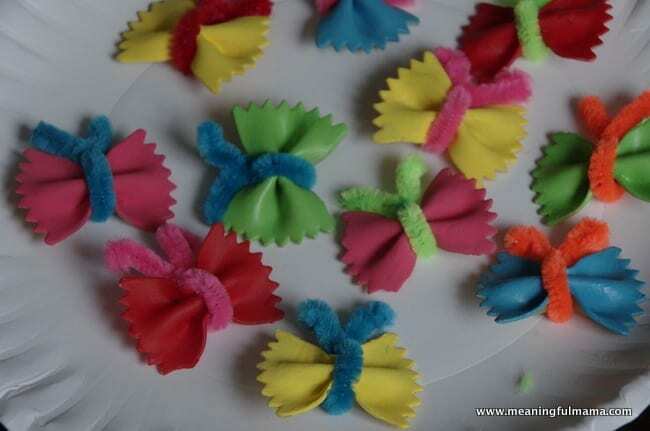 Paint your butterfly (bow tie) pasta. We just used basic craft paint in a variety of bold colors. We needed to do a couple coats to get the desired coverage. 2. Once dry, wrap pipe cleaners around the center of the butterfly and twist at the top. 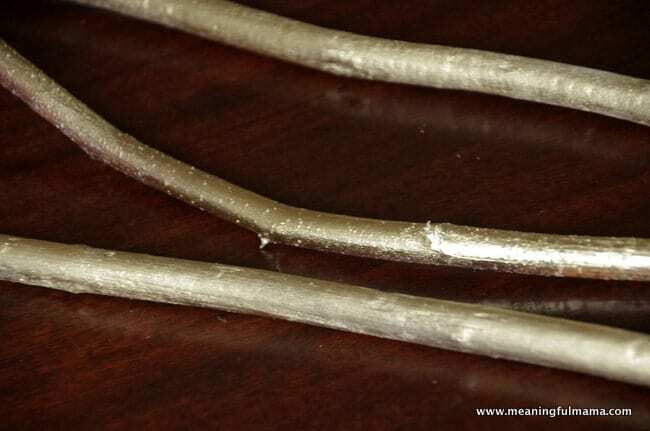 Use scissors to cut off excess pipe cleaner. I was thinking of a different look for the butterflies, but my daughter actually came up with the twisted pipe cleaners around the entire body, and I loved her idea. We went with it. 3. Spray paint sticks with your desired color. We chose gold. Kids Activity Blog has a full tutorial on how to do this as well as how to add glitter, which is a super cool look. I hope you’ll head over to get the instructions. Let the sticks dry. 4. 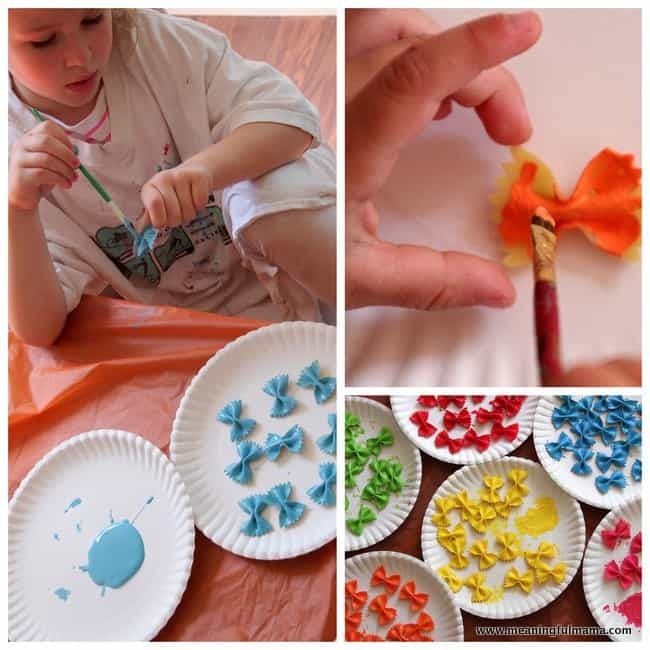 Attach the butterflies with hot glue. 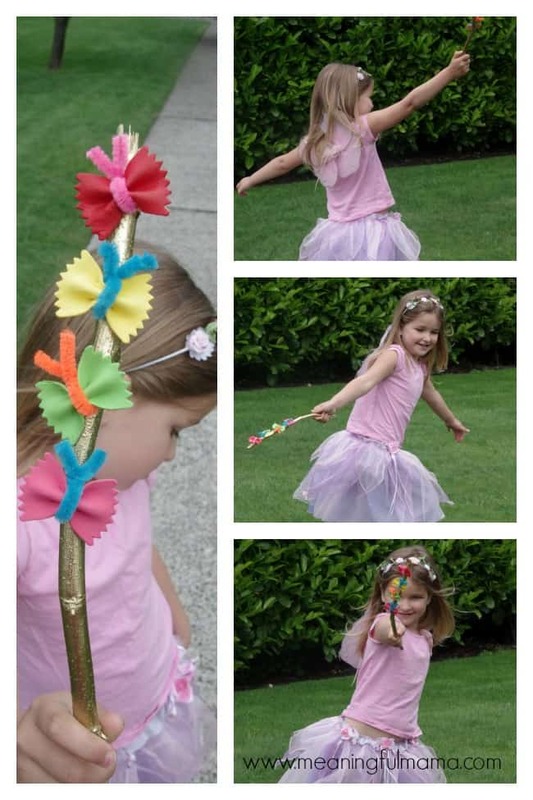 Your kids now have a fabulous butterfly garden fairy wand, which will spark their imagination. In the last picture you can see my superman garden fairy. He wanted to make one too, and I loved watching the two of them run around the yard together making magic happen. love these my little girl is butterfly mad , and I bet the boys will make one too .